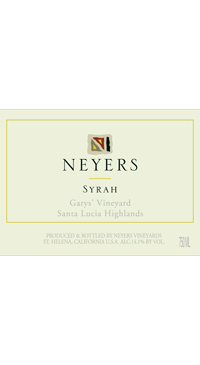 Syrah is at its best in this rocky, low-nutrient soil. The grape is sensitive to warm weather, so here it faces north, away from the sun. The cool breezes from the Monterey Bay keep the hot weather at arm’s length, allowing the grapes to ripen slowly and evenly. Natural winemaking practices such as hand harvesting and crushing by foot (yes, by foot!) not machine. There is no racking for several months. Yeast lees are stirred by hand, and no SO2 is added until bottling. This is a polished and complex red.